What could be better to have on a cold rainy morning. 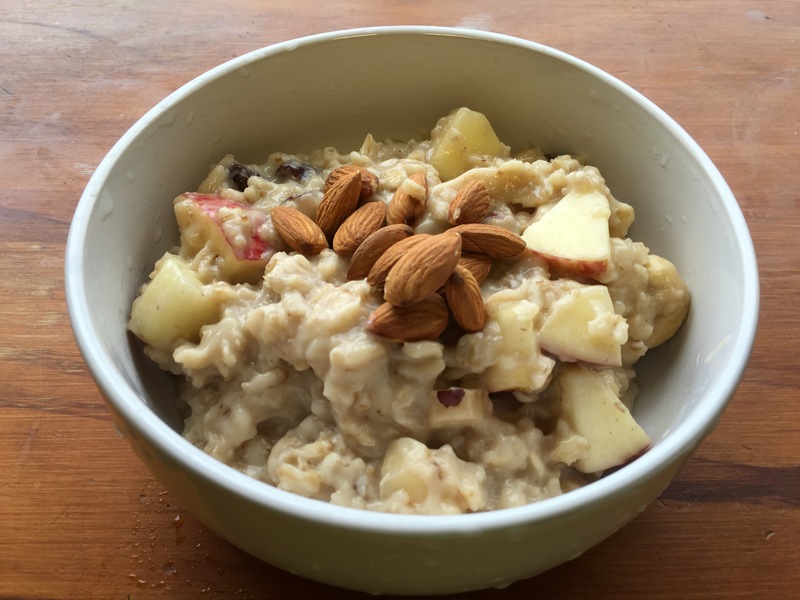 Oats porridge is easy to cook and it can be flavoured the way you like it. I decided that I wanted a sweet porridge to brighten up the gloomy morning. 1. Combine oats with the coconut milk and cook till it thickens. Keep stirring to prevent it from burning. 2. Add a pinch of salt and the coconut sugar. Continue to stir. 3. Add the apples, raisins, Brazil nuts and cashew nuts. 4. Serve it in a bowl and add the almond nuts on it. A nice and hot porridge to warm you up.